Additive layer-based selective laser melting technologies (SLM), provide a new range of possibilities for ob- jects manufacturing. In the present study the alumina/ titania Al2O3/TiO2 coatings were applied onto SLM-manufactured substrates by the atmospheric plasma spraying method. The microstructure and porosity of coatings were examined by scanning electron microscopy (SEM), and industrial computer tomography. Bonding strength of the coatings was analysed. Generatywne technologie selektywnego przetapiania laserowego (SLM) zapewniają nowe możliwości wytwarzania części maszyn. W pracy badaniom poddano powłoki tlenku glinu i tytanu Al2O3/TiO2 nanoszone za pomocą metody natryskiwania plazmowego APS na podłoża wykonane w procesie SLm. 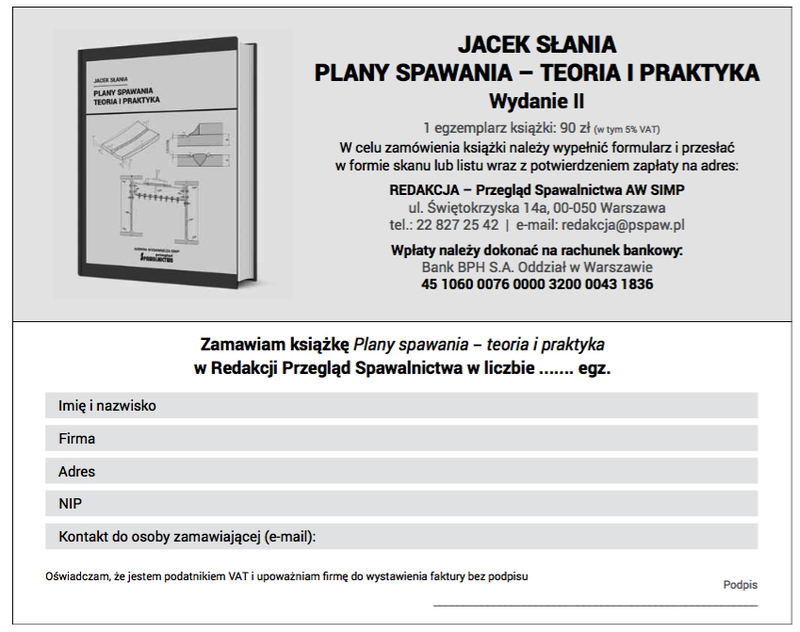 Przy zastosowaniu skaningowej mikroskopii elektronowej i przemysłowej tomografii komputerowej przeprowadzono ocenę mikrostruktury i porowatości powłok, jak również poddano analizie przyczepność powłok. Chlebus E., Kuźnicka B., Kurzynowski T., Dybała B.: microstructure and mechanical behaviour of Ti-6Al-7nb alloy produced by selective laser melting, materials Characterization 62, 2011, s. 488-495. Chlebus E.: Rapid prototyping and advanced manufacturing. Springer handbook of mechanical engineering / [Karl-Heinrich] Grote, [Erik K.] Antonsson (eds.). Berlin: Springer, 2009, s. 733-768. Frankiewicz m., Kurzynowski T., Dybała B., Chlebus E.: Rapid Tooling application in manufacturing of injection moulds, Virtual design and automation/ed. by Z. Weiss. Poznań : Publishing House of Poznan University of Technology, 2008. s. 155-162. Heinmann R.: Plasma Spray Coating, John Wiley & Sons, Ltd, Chichester, UK, 2008. Pawlowski L.: The Science and Engineering of Thermal Spray Coatings, John Wiley & Sons, Ltd, Chichester, UK, 2008. Rico A., Poza P., Rodríguez J.: High temperature tribological behavior of nanostructured and conventional plasma sprayed alumina-titania coatings, Vacuum, Available online 2 march 2012, ISSN 0042-207X. Venkataraman R., Gautam Das a, Venkataraman B., narashima Rao G.V., Krishnamurthy R.: Image processing and statistical analysis of microstructures of as plasma sprayed Alumina-13 wt.% Titania coatings, Surface & Coatings Technology 201, 2006, s. 3691-3700. Yugeswaran S., Selvarajan V., Vijay m., Ananthapadmanabhan P.V., SreekumarK.P. : Influence of critical plasma spraying parameter (CPSP) on plasma sprayed Alumina–Titania composite coatings, Ceramics International 36, 2010, s. 141- 149.